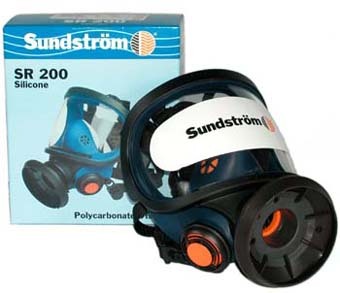 SR 200 full face mask is a silicone mask offering the ultimate in full face protection. Can be used with all Sundstrom filters. The mask comes with a durable head harness and a polycarbonate visor.